After a tumultuous 2018, Facebook’s fate looks bleak. While the characteristic hope of the New Year lingers, you might look at the glimmers of positive news around Facebook with optimism: Advertisers are still using it; the company is investing in local news partnerships in a public display of its commitment to quality reporting; and consumers aren’t deleting their accounts in panic. But don’t be fooled by this temporary veneer of salvation: After all, Rome didn’t fall in a day. Facebook’s value is only as strong as its network of users; to diagnose the true state of the social network, you must tune into the tenor of its user base. This means pulling back the curtain on current behavioral data to analyze consumers’ emotion and energy — the underlying forces that drive consumers to engage with or withdraw from a brand. Facebook’s mistakes take a measurable toll on consumers. 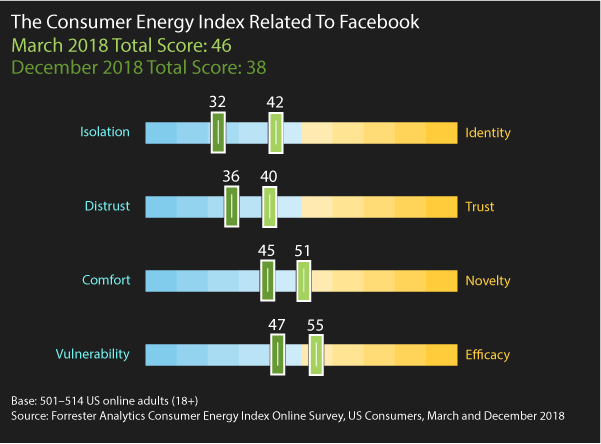 Forrester’s Consumer Energy Index reveals that consumer energy among US online adults dropped to new lows in the wake of the Facebook revelations during 2018. Energy scores that hovered around 46 in March after the Cambridge Analytica scandal fell to 38 in December when consumers learned that their personal data was being shared with major brands such as Amazon and Netflix without users’ full knowledge or consent. The decline in consumer energy means that Facebook is repeatedly shocking its users into a state of extreme vulnerability and making them sensitive to risk. Waning consumer energy signals their disengagement from Facebook. As consumer energy decreases, fewer consumers view Facebook as a positive addition to their lives — and their reliance on Facebook weakens. Although only 5% of US online adults plan to delete their Facebook account, fizzling consumer energy means consumers have little appetite for new content and features that Facebook implements. They also reap less value from the platform. December 2018 saw Facebook approach a tipping point, when nearly half of the Facebook users we surveyed said they would rely on the social network less. The network effect won’t save Facebook. Despite its epic size, Facebook’s growth is dwarfed by other social networks, and US youth are avoiding the platform altogether. For young consumers with myriad social media channels and content at their fingertips, a social network’s reach and breadth are less valuable than its differentiation and emotional benefits. To the next generation of social media users, Facebook has already fallen behind. Despite Facebook being embroiled in controversy, advertisers continue to rely on the platform because of its radically simple user experience, wide reach, and promises to improve transparency for marketers. 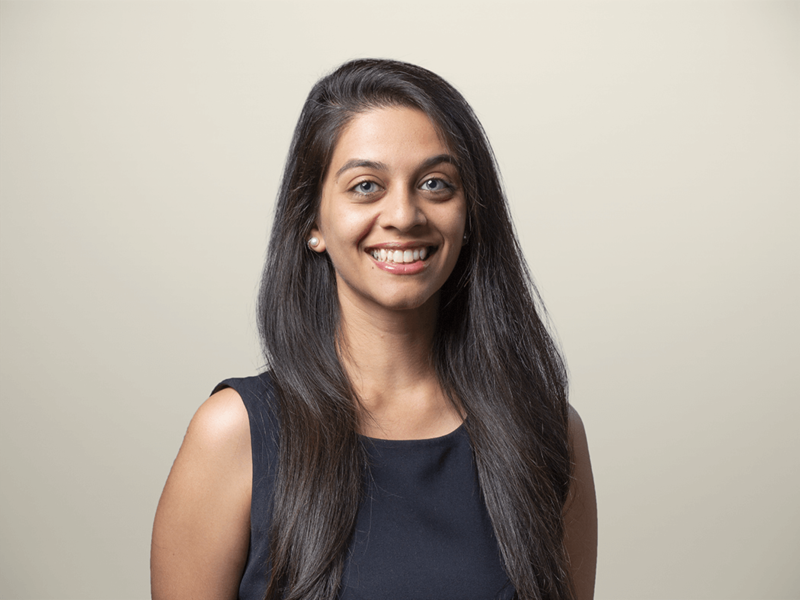 But CMOs: As Facebook burns, don’t be the one caught playing the fiddle. True customer obsession requires you to be thoughtful about Facebook’s vulnerability. Carefully consider the value that Facebook offers your consumers — and be intentional about the effects of your marketing content. Simply reaching consumer eyeballs is not enough to capture consumer mindshare; rather than just feeding the machine, deliberately design content that stimulates emotion and resonates with your consumers’ energy, their values, and the values that your brand represents. Forrester clients can read the full Consumer Energy Index analysis on Facebook here.